You may have come across the twitter hashtag #ImmodestWomen and wondered what it’s all about. It caught my eye because it seems another excellent example of the ‘damned if you do, damned if you don’t’ behaviour asked of women: on the one hand, we are expected to be humble, compliant and supportive of others; on the other hand we’re told to promote ourselves – particularly in the context of our careers – showcase our strengths and talk more about our own achievements. 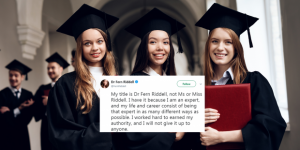 To give you some context, #ImmodestWomen is a hashtag introduced by Dr. Fern Riddell who dared to insist that her hard-earned PhD title form part of her twitter handle. A backlash of comments from men berated her for being immodest, lacking humility, even being vulgar. By simply showcasing her expertise, Dr. Riddell was publicly shamed for not conforming to society’s expectations of women to be modest, well-behaved, not showing off. 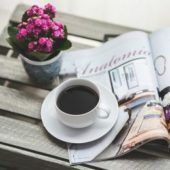 How do we strike the balance between society’s – and frankly, our own - expectations of humility with the need to self-promote at work so as not to lose out to those (mostly men) who do it so well? My good friend and associate Cara Moore and I recognised a while ago the double-edged sword society had dealt us. To generalise, men seem to be at ease ‘blagging’ their way into promotions and pay rises by exaggerating their achievements and abilities, while (again in general) employing those tactics made women feel uncomfortable. After much discussion we came up with a way of ‘showing off’ which we think feels more natural to women. In other words, turning blagging into bragging – but doing so based on actual achievements and confidence in our potential. Hopefully it negotiates the fine line between what feels right, and what we as women need to do to be seen and heard. B stands for Bright: Being visible by speaking up, contributing without hesitation or self-doubt, confidently applying for stretching tasks, and asking for that title, promotion or pay rise. We should aim to be bright like a beacon and be known for our strengths and unique talents. L stands for Learned: Many of us are experts in our fields, and this is important. Whatever we say or do, we need to be comfortable that we can back it up with substance. For many women, this is the reason the term ‘blagging’ feels unnatural – we think of it as a cover-up for actual knowledge. Not so for most of us, who know much more than we give ourselves credit for. Learned means not only knowing our ‘stuff’ but remembering that we do! A stands for Audacious: This is where we must ask ourselves to ‘just give it a go.’ Often, before we try something new or more daring, we talk ourselves out of it before we even begin: ‘I’m not good enough. I don’t have the experience. They would never agree to it,’ pipes up our unhelpful inner voice. We have dozens of reasons for not doing something instead of just going for it. So being audacious is about silencing that inner critic and ‘JFDI’*. G stands for Gutsy: Gutsy is about being brave enough to tie these three elements together and take action to BLAG by being visible, known for our expertise and knowledge, and unafraid to step up. So, while shouting from the roof tops about how good we are is something we prefer to leave to others, there is no shame in adding those well-earned initials that follow your name. Thank you, Dr. Fern Riddell for standing up for yourself and for BLAGging with integrity. * For those of you who are wondering, JFDI stands for Just Flippin’ Do It!